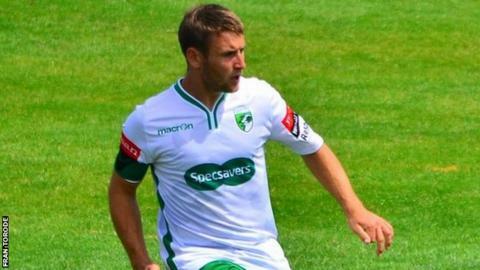 Captain Sam Cochrane's last-minute winner helped Guernsey FC to a 2-1 win over Three Bridges in their opening game of the 2015-16 season. Cochrane headed in a corner to get Guernsey's third season in the Isthmian League Division One South off to a great start. Dominic Heaume had given Guernsey a 34th-minute lead at Jubilee Field. But Three Bridges equalised with 21 minutes to go through Ben Godfrey before Cochrane's late winner.